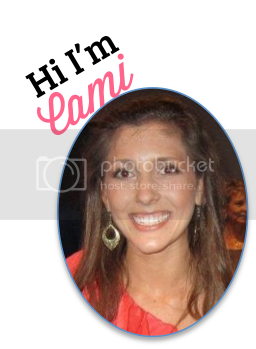 First Day of My Life: It's All in the Jar: Custom Cookie Mix Makes Gift Giving Easy! It's All in the Jar: Custom Cookie Mix Makes Gift Giving Easy! I’ve been having some issues with Christmas shopping this year. I am SO behind. This time, last year, I was almost done. Unfortunately, not this time! I was excited when I heard about the Mason Jar Cookie Company – they provide cookie mix that is customizable to the taste of who you are giving your gift to. The company makes it so easy to create your own customizable gift – it’s a fresh new twist on classic recipes for cookies. Mason Jar Cookie Gifts gives you the choice between thirty five add-ins, additional to the four cookie bases. There are also gluten-free options available to those with gluten intolerance. 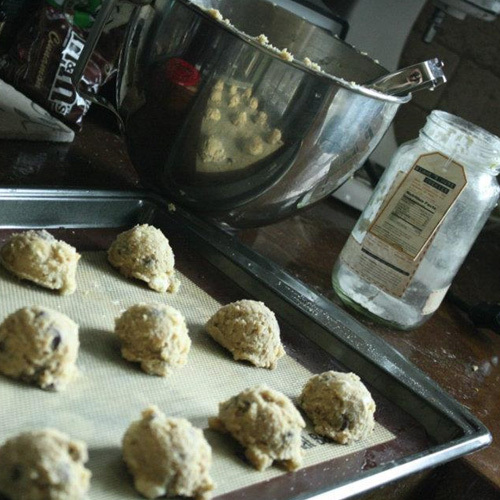 Once you sift through the many options, you’ll be very happy with the presentation of the custom cookie mix. It is creatively and beautifully packaged in a mason jar – with very little mess! Depending on the ingredients you choose to be part of your custom-made jar, the price starts at $19. The chocolate cookie mix (and any other options you choose) is incredibly easy to bake. So if the person you are giving this amazing gift to is scared of baking – let them know baking these cookies couldn’t be easier. All you need to do is pour your mixture into a bowl and add the “wet” ingredients that are listed. These ingredients consist of butter, an egg, and possibly milk and/or water. 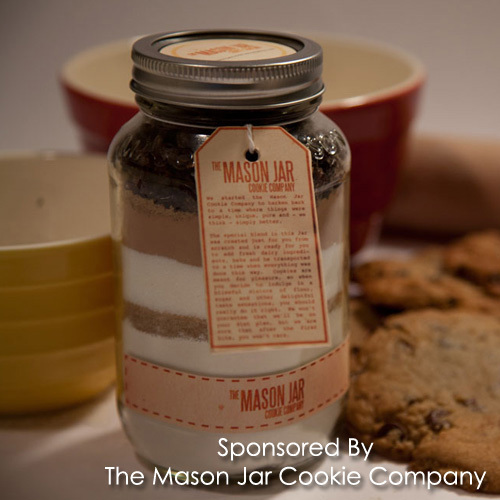 The Mason Jar Cookie Company blessed me with the opportunity to try the product – thank you! What a delicious and easy treat! Guess what they also blessed me with? An extra jar! I decided to keep the blessings going and share one with my momma! She surely was excited when she realized she didn’t have to make cookies from scratch for her holiday party – the cookie mix was a lifesaver! Thank you, Mason Jar Cookie Company for the amazing gifts and a truly adorable (and delicious) customizable product! Love those - such a sweet idea!! Anything in a mason jar looks so cute! Thanks for sharing! I hope you are having a relaxing night!